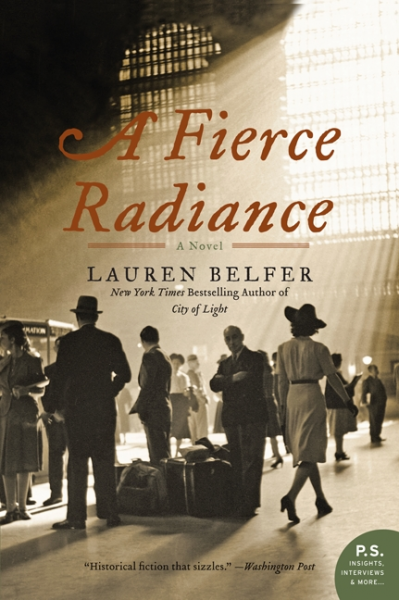 Audio: NPR: Penicillin Comes Of Age In 'A Fierce Radiance'. Audio: CBC Radio: Lauren Belfer. 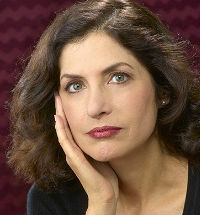 Lauren Belfer’s debut novel, City of Light, was a New York Times bestseller as well as a New York Times Notable Book, a Library Journal Best Book, and a Main Selection of the Book-of-the-Month Club. Her second novel, A Fierce Radiance (Harper), was named a Washington Post Best Novel, an NPR Best Mystery, and a New York Times Editors’ Choice. And After the Fire (Harper), her most recent novel, received a 2016 National Jewish Book Award. 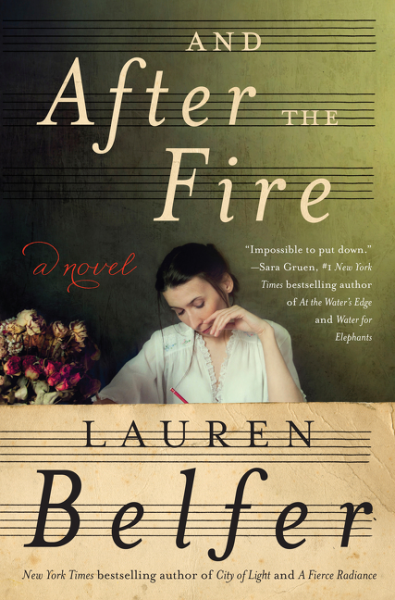 In And After the Fire, Belfer returns with a powerful and passionate novel — inspired by historical events — about two women, one European and one American, and the mysterious choral masterpiece by Johann Sebastian Bach that changes both their lives. And After the Fire traverses over two hundred years of history, from the eighteenth century through the Holocaust and into today, seamlessly melding past and present, real and imagined. Belfer’s deeply researched, evocative, and compelling narrative resonates with emotion and immediacy. From libraries and historical societies to literary festivals, book clubs, and religious, cultural, and community centers, Belfer has spoken across the country to audiences of all sizes. A passionate storyteller, she speaks on many topics, ranging from fiction and literature to women’s studies, Jewish identity and history, classical music, and the effect of new technologies — the electrification of America in City of Light, and the development of antibiotics in A Fierce Radiance — on everyday life. Belfer’s fiction has also been published in the Michigan Quarterly Review, Shenandoah, and Henfield Prize Stories. Her nonfiction has appeared in the New York Times Book Review, the Washington Post Book World, the Christian Science Monitor, and elsewhere. Belfer grew up in Buffalo, New York. At Swarthmore College, she majored in Medieval Studies. After graduating, she worked as a file clerk at an art gallery, a paralegal, an assistant photo editor at a newspaper, a fact checker at magazines, and as a researcher and associate producer on documentary films. Her first published short story was rejected forty-two times before it found an editor who loved it. Her second published short story was, she says, much more successful: it was rejected only twenty-seven times. She has an M.F.A. from Columbia University. Currently, she resides in New York City with her husband, the musicologist and writer Michael Marissen.